Despite the similarities in name, the Tokyo Auto Salon is a very different show from the bi-annual Tokyo Motor Show. 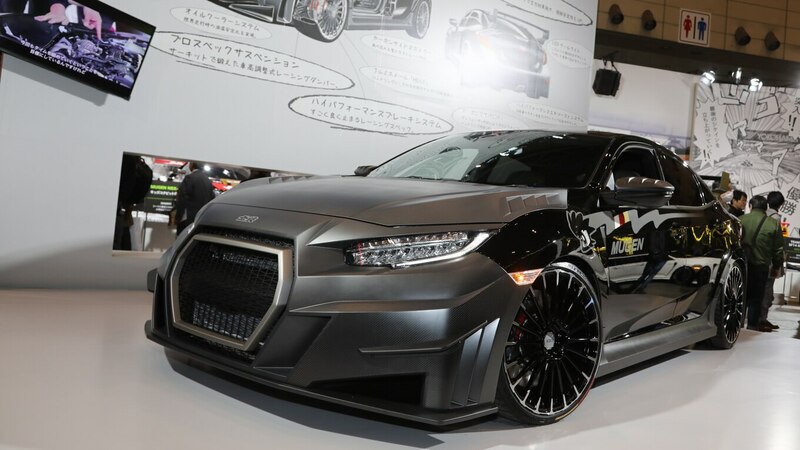 Annually held at the hulking Makuhari Messe convention center near Tokyo Disneyland, the Tokyo Auto Salon is similar to the SEMA aftermarket show in Las Vegas. 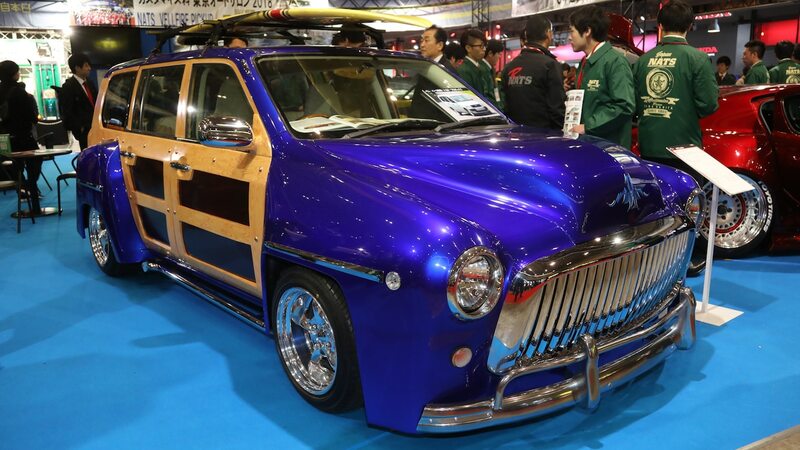 Unlike SEMA, however, the Tokyo Auto Salon is not a trade-only show and is open to the public. 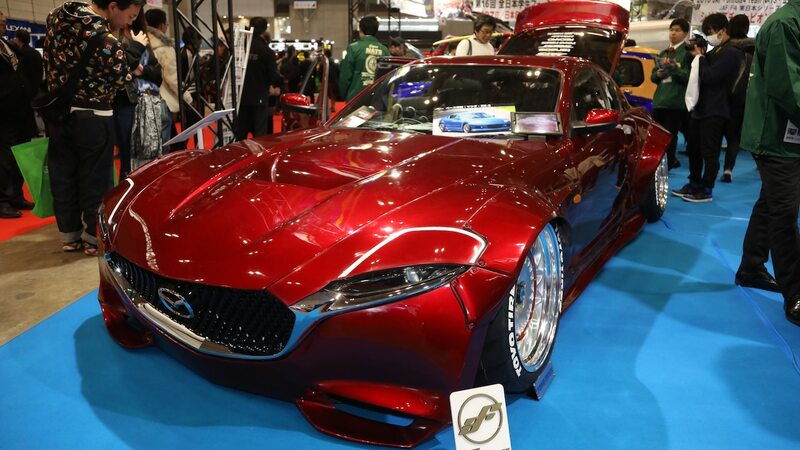 This year’s Tokyo Auto Salon features more than 900 unique vehicles from major Japanese manufacturers and aftermarket tuners. 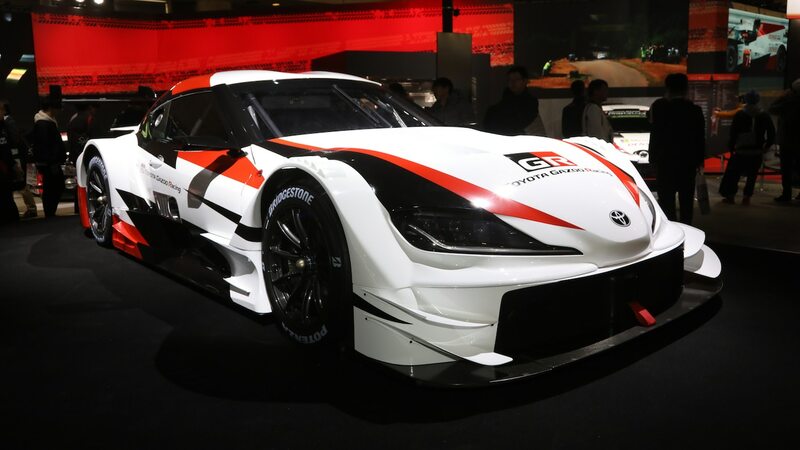 Based on the new Toyota Supra, the “GR Supra Super GT concept” previews the car that will race in the top GT500 class of the Japanese Super GT touring car series for the 2020 season. 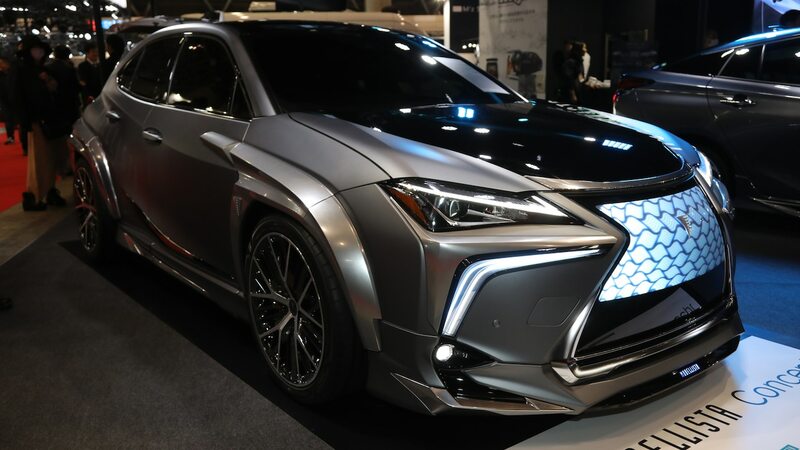 The new racer will replace the Lexus LC 500 race car that was introduced in 2017, a surprising move considering Lexus models have represented Toyota in the GT500 class since 2006. But looking back at the Supra’s history in the series, which includes four GT500 championships (back when Super GT was known as JGTC), running the car in the premier class makes a lot of sense. Mugen’s RC20GT features a complete overhaul of the Honda Civic Type R, with an array of lightweight body parts, as well as full brake and suspension kits. 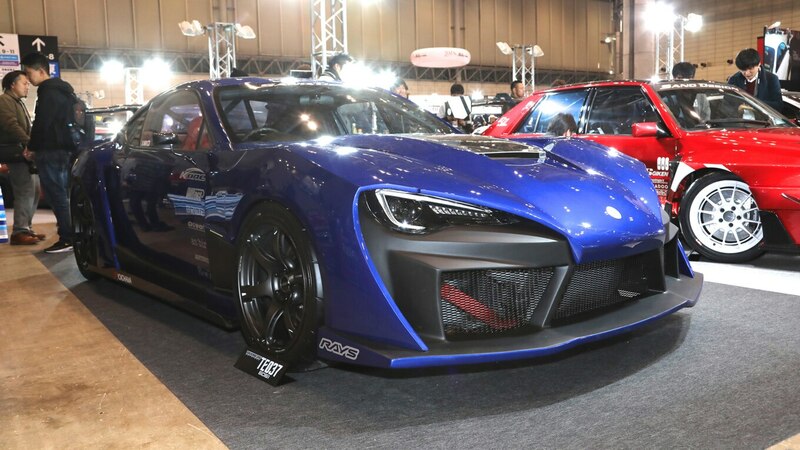 The body kit consists of a new hood, grille, front and rear bumpers, side skirts, and a rear wing; Mugen claims these components are made from dry carbon fiber and the total weight savings is close to an adult’s body weight. Customers can order the full kit with or without the 20-inch wheels starting this summer in Japan, with incremental pricing said to be similar to the sticker price of the car itself. 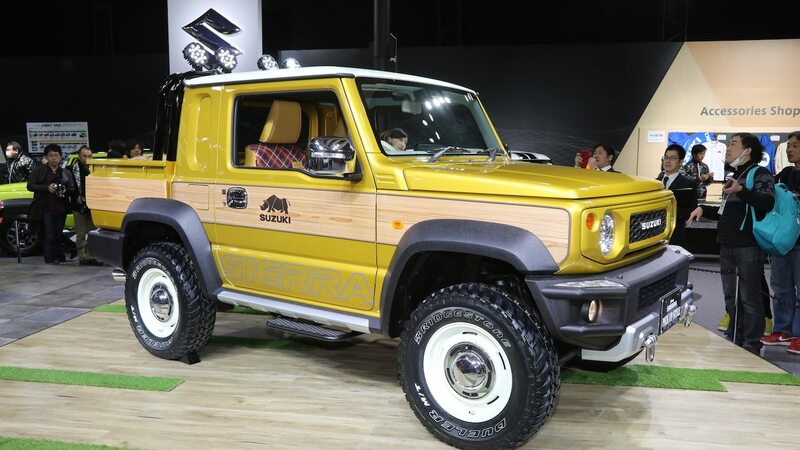 With the introduction of the new Suzuki Jimny last year, this Sierra PickUp Style is one of a many customized Jimnys on display. 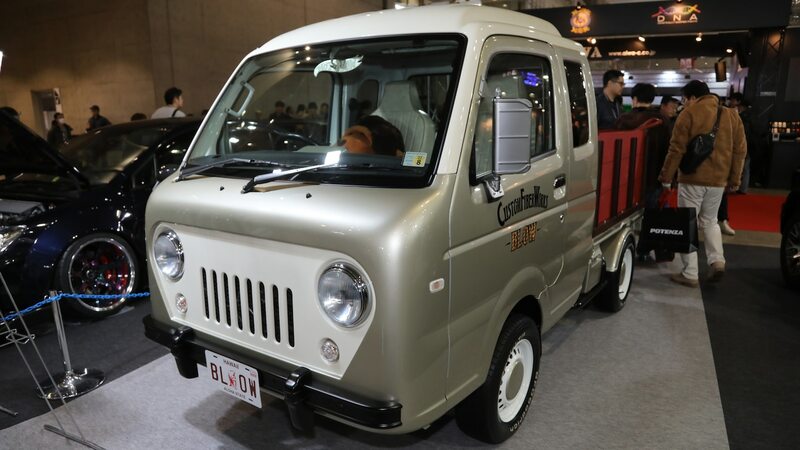 A kei-car’s pickup bed was added to the back of the Jimny, leaving the wheelbase untouched but extending the rear overhang. 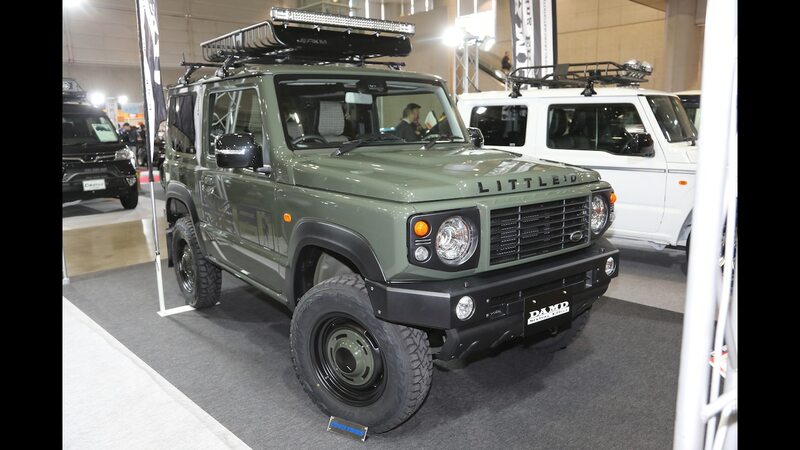 By lifting the Jimny and putting on bigger tires, Suzuki has managed to make a Jeep Gladiator at two-thirds scale. 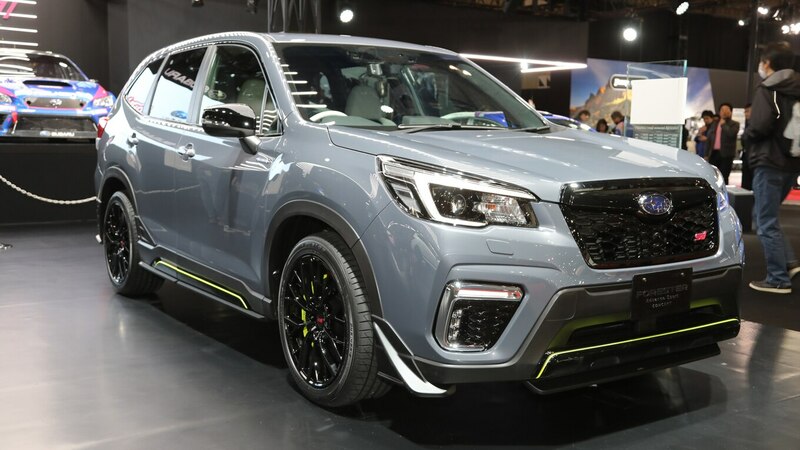 Subaru displayed several concepts given the STI treatment—and this Forester Advance Sport is just one of the few. An STI aero kit and special paint color have been added, but the engine has been left untouched. 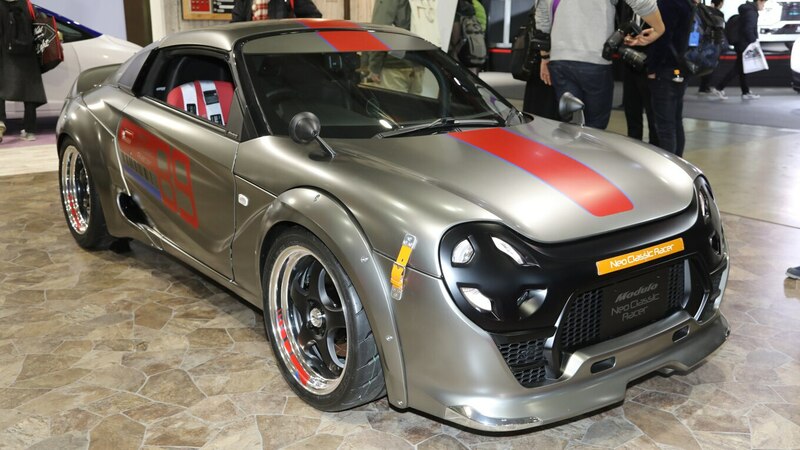 This Honda S660 Modulo Neo Classic has had a complete makeover, featuring a full body kit with 6-inch-wide fender flares, and a new hardtop and front grille. The wider stance calls for 205mm tires on the front and 255mm on the rear, all wrapped around 17-inch wheels. The stock 660cc motor is retained to maintain its kei-car status. If the Juke Personalization Adventure concept’s crawler tracks look familiar, it’s because they are the same system found on Nissan’s “370Zki” from the Chicago Auto Show last year. 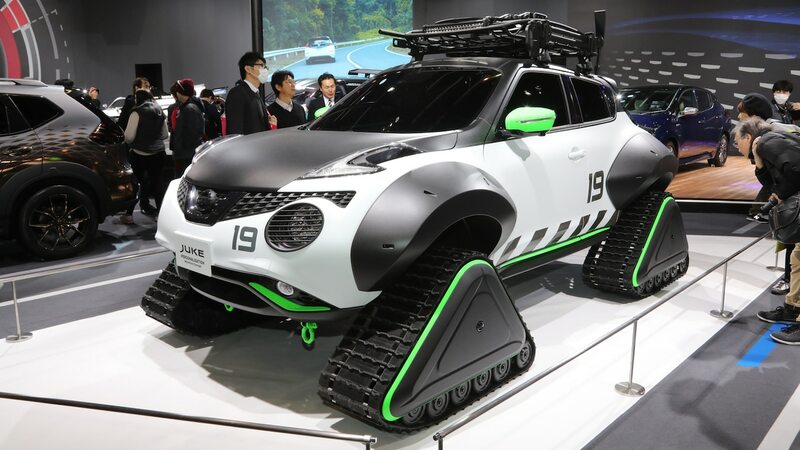 Nissan added these cartoonishly large fender flares and side cover on crawler tracks to make the car look like it came straight out of an anime, complementing the Juke’s round shape and adding futuristic style. This wide-body Toyota 86 has had its boxer engine replaced a 3S-GTE, a turbocharged inline-four found in such classics as the Toyota Celica All-Trac and SW20-generation MR2 Turbo. 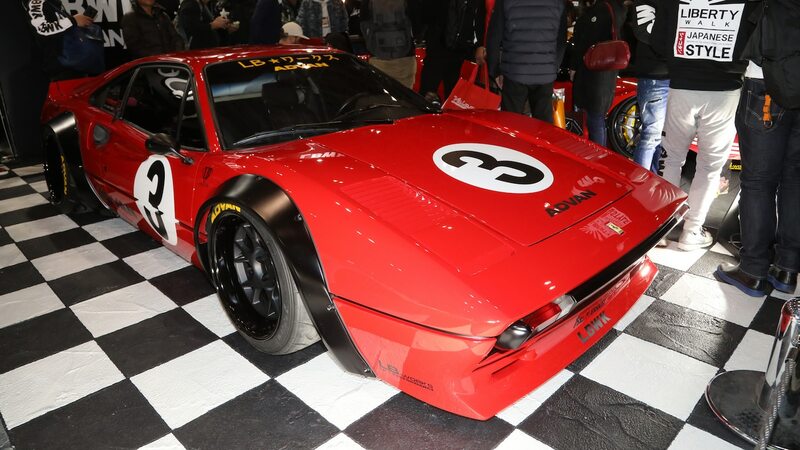 Liberty Walk, a Japanese custom shop known for its wide-body kits, brought a Ferrari 308 with classic “Zoku”-style fenders. 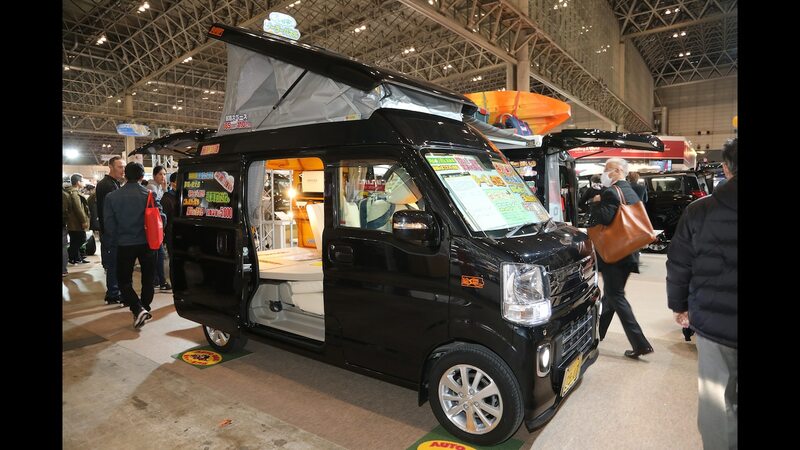 Despite being just 135 inches long and 58 inches wide, this kei-car-based camping car is designed to accommodate four adults. This “RX-Stance” is another creation by NATS students. Based on a Mazda RX-8, the RX-Stance features a lower, wider stance thanks to an all-new body, along with a grille from the new Mazda6 and headlights from the ND Miata. Since we may never get a production version of the RX-Vision concept, this could be the next best thing. 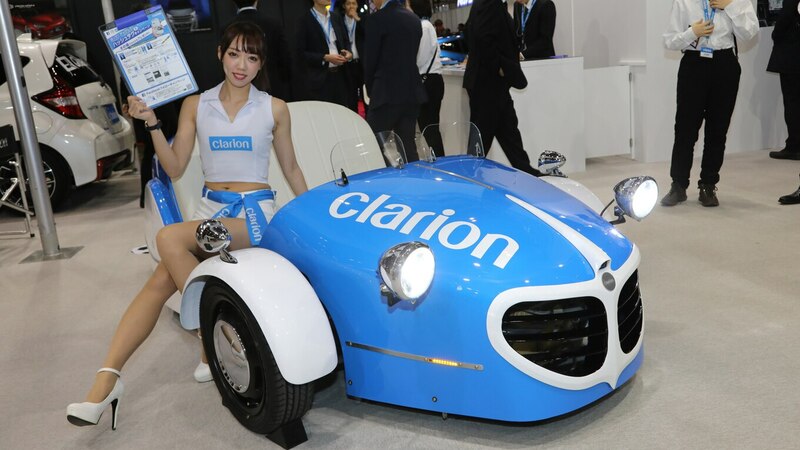 Clarion brought out this trike roadster to demonstrate their 360-degree bird-eye view camera system. Practical? Not so much. Kawaii? Totes.